JPEG, or JPG, which stands for Joint Photographic Experts Group, has become somewhat of a standard for sharing photographs online. It offers excellent quality, good compression, and a reasonable file size. Yes, it is a lossy format. That means that you can optimize it, at the expense of some information from the photo. This does not necessarily mean lower quality, as you will see below. Since the human eye is unable to perceive much of the data stored in a JPEG, you can safely discard it. Combined with better compression, this can result in as much as 70% reduction in file size. Reducing your photos in this way means less hard drive space required for your photo collection. It also has the benefit of speeding up online photo transfers. Social media, and online portfolio websites already do the optimizations for you. However, if your collection on your hard disk is already optimized, it will take much less time to upload it. Image optimization is especially useful if you are running your own website. The smaller your images, the faster your website will load. A faster site means happier users, who will keep coming back for more. It will also rank higher in searches, since website performance is now a major factor in search engine optimization. Google’s PageSpeed Insights is an excellent, and essential tool to see how well your website performs. Image optimization is one of the most important factors it uses to score your website. There are many tools available to process your JPEGs, both online, as well as executable applications. 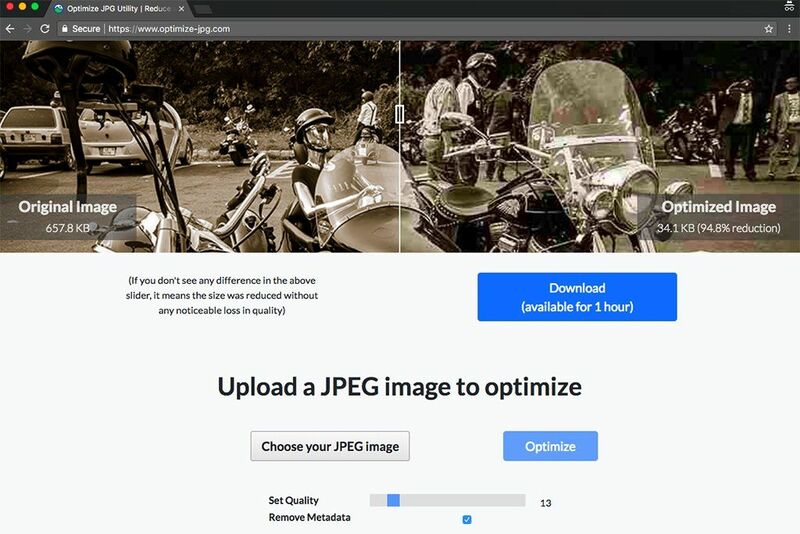 I found this one to be the simplest, and most powerful: Optimize JPEG. 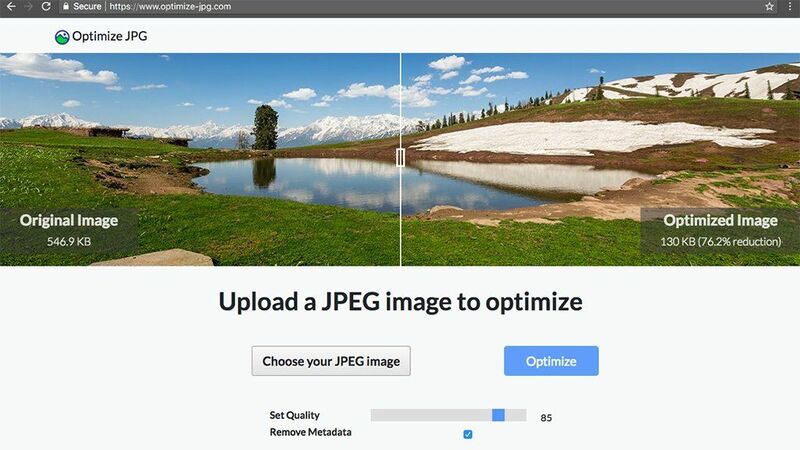 Simply select an image, set the quality, and click Optimize. The default quality setting is 85, which is usually enough to pass Google PageSpeed tests. It will also result in an image that appears identical to your original. At 100, there should not be any loss in quality whatsoever. However, it should still save you 15-20% file size, due to better compression. The lower the quality setting, the smaller the output will be. I used a quality setting of 13 for the above photo. The result was a whopping 94.8% reduction in size. Though as is visible using the nifty comparison slider tool, the new image is noticeably poor. The tool is great, allowing you to see the differences between both images. Just slide the bar left/right, or click anywhere on the image, to compare. My advice: try out different quality settings. Use the one with the best balance between image quality, and size reduction. The JPEG format also supports certain information in the form of metadata. 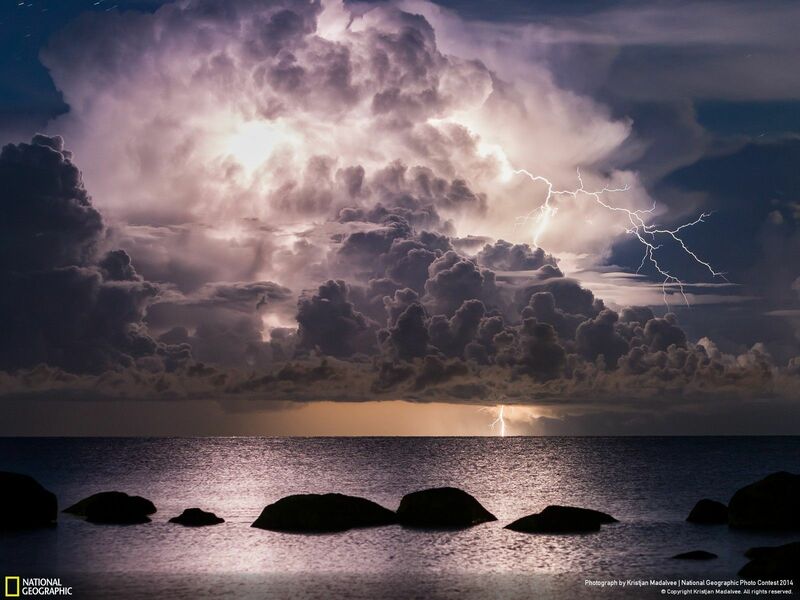 This can include everything from the name of the photographer, to the camera settings used to capture the photo. Removing this will save you a couple of kilobytes at most. However, it can be useful in cases where every byte counts, or if you are concerned about privacy. There you have it. If you are concerned about permanent loss of quality, you can keep the quality level at 100. You could also store your best photos in a lossless format, such as TIFF. For the rest, optimizing your photos this way has numerous benefits, and I highly recommend it.